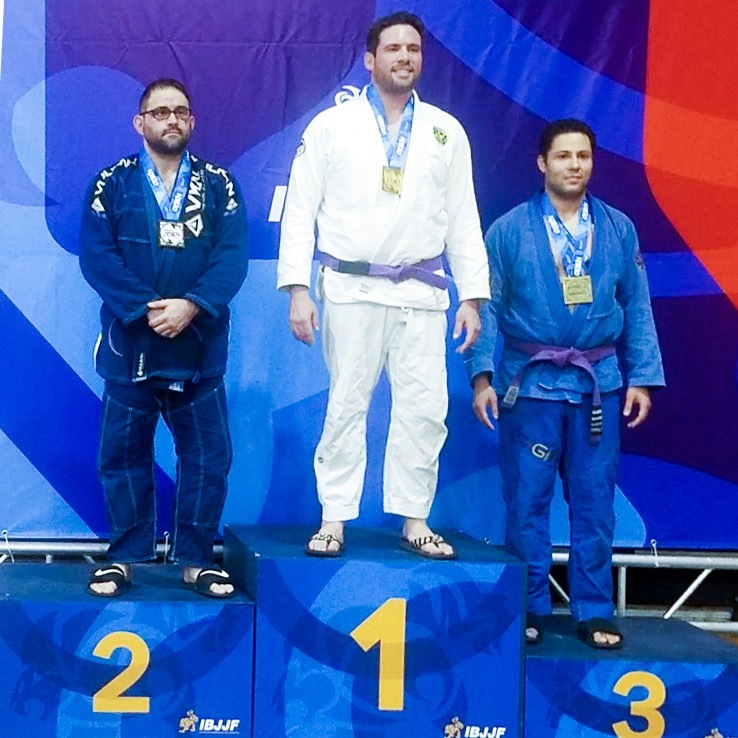 Coach Aaron Hannan took second place in the Adult Male Purple Featherweight division. True Believer competitors included coaches Aaron Hannan and Evan “Rufio” Anastacio, along with students Dave Armbrecht, Dave Darges and Rick Lipa. 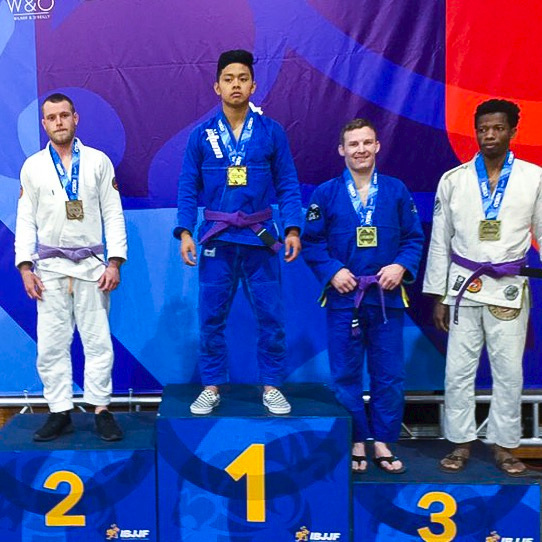 Coach Aaron Hannan took second place in the Adult Male Purple Featherweight division, while Coach Rufio Anastacio placed third in the Adult Male Purple Lightweight division. Rick Lipa placed second in the Master Two Male Purple Ultra-Heavy division. Students Dave Darges and Dave Armbrecht placed first and second respectively in the Master One Male Blue Medium-Heavy division, and Rick Lipa placed second in the Master Two Male Purple Ultra-Heavy division. Dave Darges also competed in the Master One Male Blue Open Class, taking second place behind a fellow GFTeam member. As a whole, GFTeam placed first at the event with 156 medals. Be sure to congratulate your True Believer team members on their hard-fought success in Cincinnati, and keep up the hard work as we prepare for Washington D.C. and New York in April. Dave Darges and Dave Armbrecht placed first and second respectively in the Master One Male Blue Medium-Heavy division. Dave Darges placed second in the Master One Male Blue Open Class.